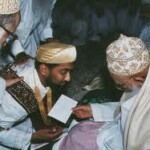 In this photo you can have view of this white color mosque with beautiful doom. 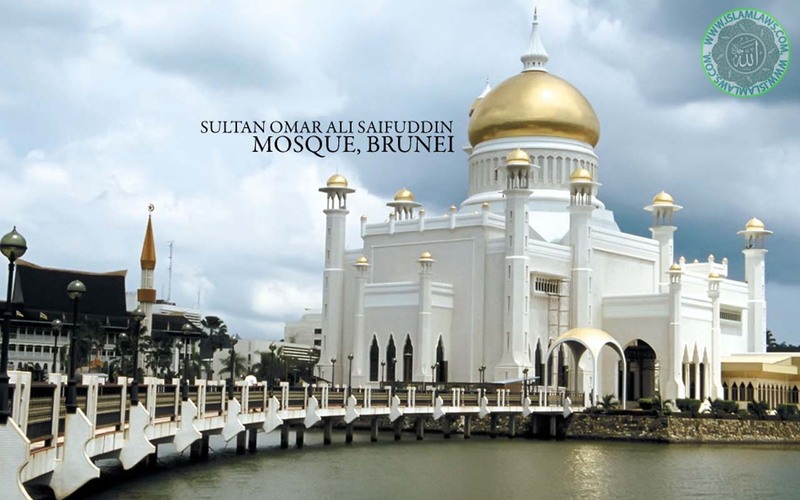 Omar Ali Saifuddin Mosque is situated in Brunie. 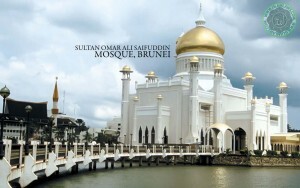 This is not only the most beautiful mosque in Brunei but in whole Asia Pacific region. 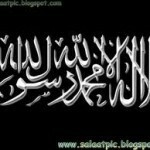 Here in this picture collection you can download some really fantastic wallpapers of this mosque.